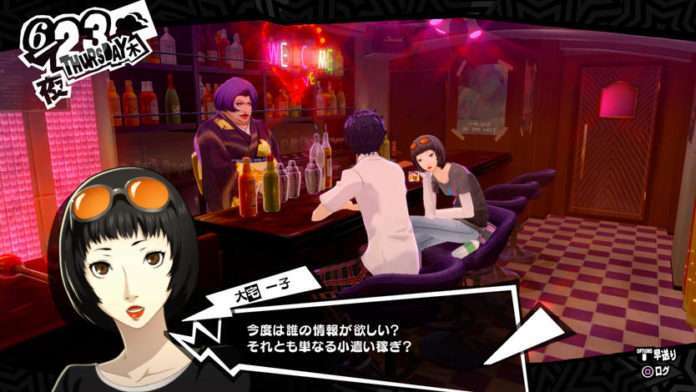 Following the preview for this week’s issue of Famitsu showing Persona 5‘s online functionality, blogs Hachima Kikou and [email protected] have posted information from the magazine detailing these systems. 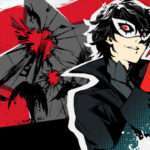 Enjoy Persona 5 even more by using this network element. Whether or not you use this feature is up to you and has no effect on the story. In battle, an ally can be taken hostage when they’re knocked out. If you refuse demands for an item and fail negotiations, your ally will no longer be able to battle. 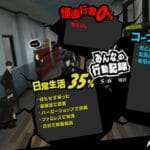 But by using the Phantom Thieves Alliance, you can receive help from other players. There is a limitation on the number of times this help can be received. If you’re detected while in the dungeon, your Alertness Meter will rise and security will become strict. 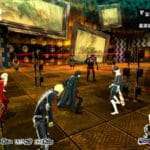 In the worst case, continuing through the dungeon will become impossible, but you can lower your Alertness Level by launching a surprise attack on the enemy or coming back another day. 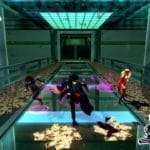 Although there are enemies that will run away when in a tough spot, which raises your Alertness Meter, their getaway can be prevented through the Phantom Thieves Alliance. 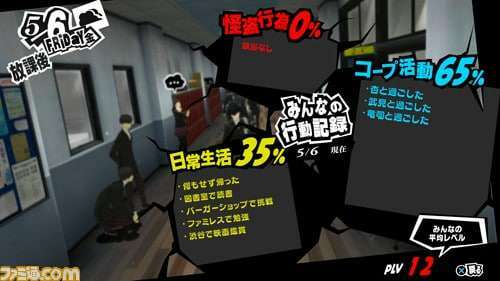 During your daily life as a high school student, you can interact with cooperation characters, take on part-time jobs, etc. When you’re not sure what to do, you can check what other players did on that day. There is also a survey feature that shows everyone’s answer percentage for in-class questions. 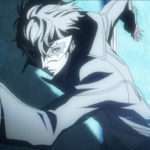 Next week’s issue of Weekly Famitsu magazine releasing on September 8 will include a special Persona 5 feature.